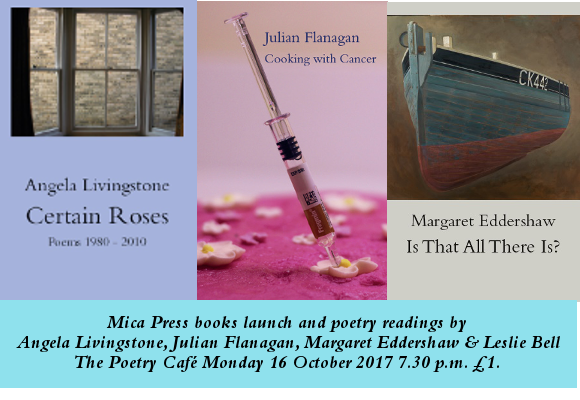 Angela Livingstone, Julian Flanagan, Margaret Eddershaw and Leslie Bell read poems from their Mica Press books. Angela Livingstone, reading from Certain Roses: Poems 1980 - 2010. 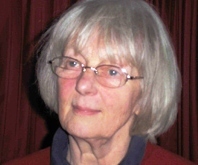 Margaret Eddershaw reading from Is That All There Is? and Leslie Bell reading from Archipelagos and recent work. Entry £1 on the door - refundable if you buy a book.